Together can never be close enough for Alexander Oturu to feel like he's close enough to Nikki Laoye. She wears white and he’ll wear out the words I love you and call her 'beautiful'. We welcome you to the premiere of a fairytale as Laoye Films and Oturu Pictures present "He's feeling the girl- another cinderella story" starring gospel sensation--Nikki Laoye and her beau--Alexander Oturu. 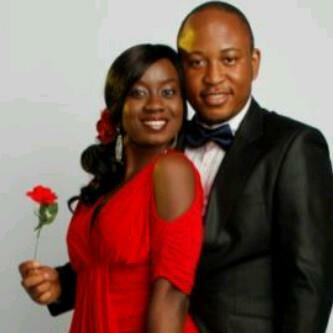 The wedding is slated for 3 p.m. at the grandeur event centre in Oregun, Ikeja. Our sources say that the colour codes are a touch of purple, pink with a hint of orange. 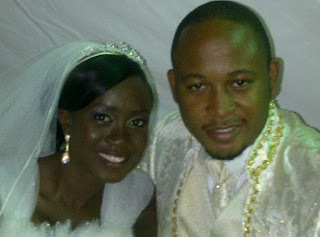 Please congratulate Mr. and Mrs. Oturu as they celebrate their special day. Congratulations to the happy couple. Happy Married Life!